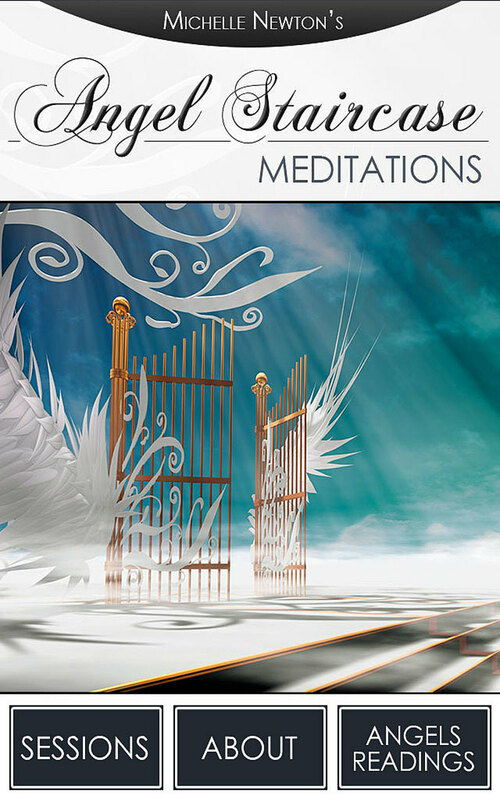 Note: This app offers a full-length, totally free angelic meditation (without any limitation or ads). If you want to explore those meditations further, just unlock the app once and you’ll get access to ALL the other available meditations (see list below). Michelle Newton from AOK Angels welcomes you to her exquisite series of guided meditations in a series titled “The Angel Staircase”. Michelle is an Angel Intuitive, Angelic Medium and experienced meditation teacher. She has used her knowledge and experience to produce this series of Angelic guided visualisations, which will suit beginners to advanced meditators. Each meditation is accompanied by heavenly Angelic music which ensures pure relaxation and soothes the soul. Michelle guides you to ascend the Angel Staircase with your Guardian Angel and journey to the realm of the Angels and Archangels to receive healing, love, guidance and many Angel blessings. 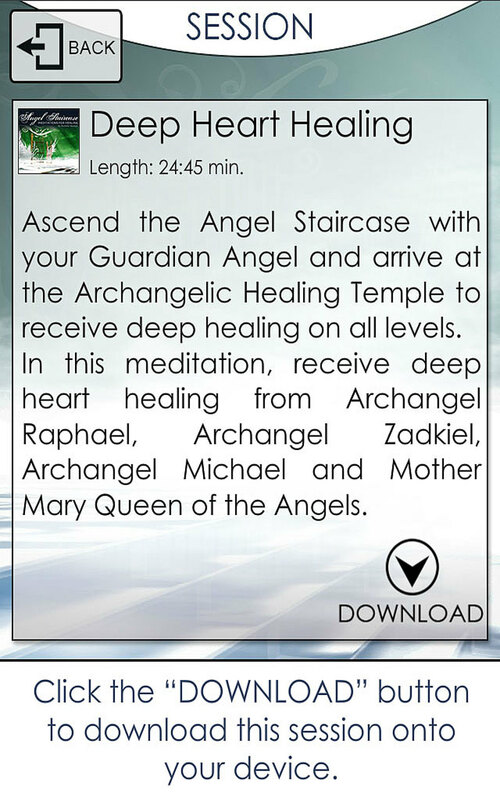 In the second series “Angel Staircase: Meditations for Healing” you will ascend the Angel Staircase with your Guardian Angel and arrive at the Archangelic Healing Temple to receive deep healing on all levels. Under the guidance of Archangel Raphael you will receive Angelic treatments incorporating Kinesiology, Music, Colour and Crystal Therapies. The Angel Staircase is an Angelically inspired and orchestrated series that you will always treasure. 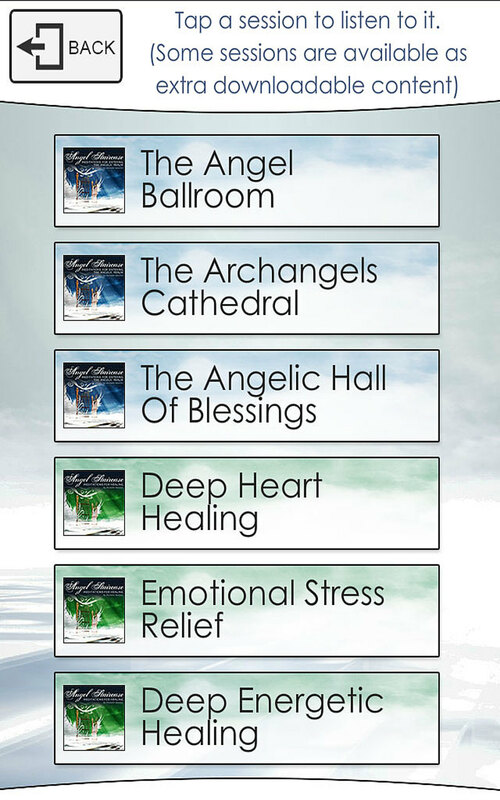 Recommended: Get also our “Angel Feather Oracle” app to decipher coloured blessings received from your Angels in Series 1!